Why was there never a proper Mario game on the Gameboy Advance that wasn't a remake? Also what is your favourite GBA game? When the Gameboy Advance was released I was looking forward to a proper Mario game. Unfortunately instead it was Super Mario Advance: Super Mario Bros 2. A remake with some extra stuff. It was still the top selling game on the GBA apart from the 3 core Pokemon games. 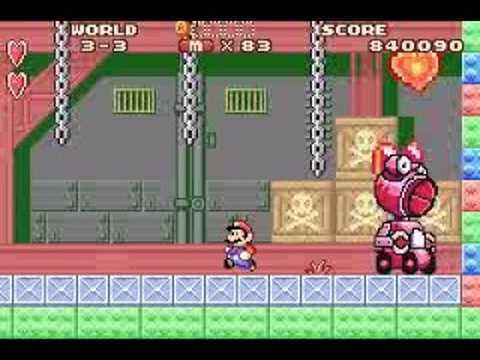 A robotic birdo boss, giant shy guys, a Mario Bros classic mini-game, and Bowser appearing in the multiplayer modes. But this was just a remake with some extra stuff. 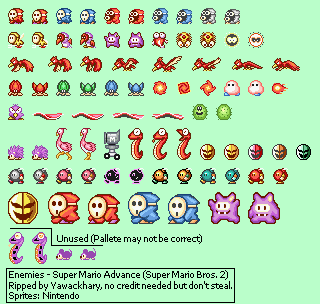 Super Mario World was also almost an exact remake with barely any extra stuff apart from a few sprite redesigns for a few enemies. Yoshi's Island was almost exactly the same except for some extra levels. Super Mario Bros 3 was pretty much exactly the same although there was a level select option after completing the game which was great. Also there were the E-reader levels which were a great addition but unfortunately were not available in the UK until Super Mario Bros 3 (GBA) was released on the Wii U virtual console with all the e-reader levels included. There was Wario Land 4 on the Gameboy Advance but that was not a Mario game. Wario is a different hero. Saying a Wario Land game is a Mario game would be like saying a Woody Woodecker game is a Mario game. There was Mario & Luigi: Superstar Saga but that wasn't a proper Mario game. It was a Mario RPG like Super Mario RPG or Paper Mario. 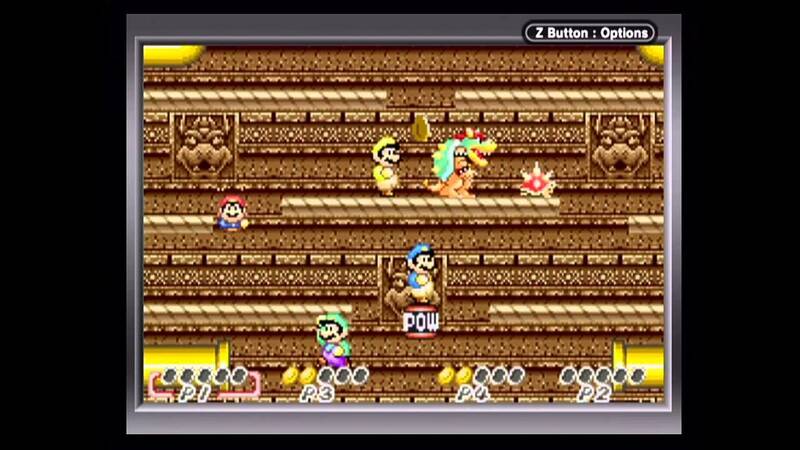 The only proper Mario platform game on the Gameboy Advance which was not a remake was Mario vs Donkey Kong. It was the 61st best selling game on the Gameboy Advance. 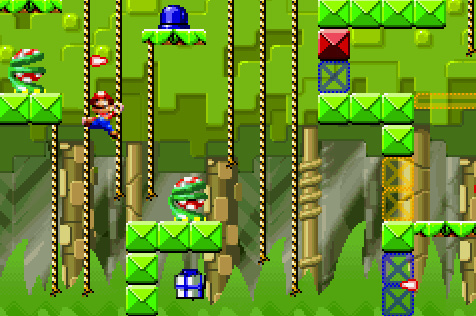 Also why were there not any 3D mario platform games on the Gameboy Advance? Asterix & Obelix XXL (GBA) was a 3D platformer game. Mario Kart Super Circuit and Mario Pinball Land are 3D but they're not platformer games though. Star X was 3D too but that was a Star Fox game. There is also Mario Tennis, Mario Golf and Mario Party on the Gameboy Advance but they are not platformer games either. There is also Yoshi Topsy Turvy (Yoshi's Universal Gravitation) but that's not a Mario game. The Legend of Zelda Link to the Past was remade on The Gameboy Advance. Which included the original Four Swords game. (Which can be played either single player or multiplayer on the DSi or 3DS as Four Swords Anniversary). There was also a brand new dungeon in The Link to the Past "Palace of the Four Sword". You could either access it through the Thieves Town dungeon in the Dark World's Kakariko Village using the Magic Mirror glitch and Pegasus Boots glitch or if you have a link cable and people who will play through Four Swords multiplayer with you. You can complete the Four Swords game and access the extra dungeon that way. But there was a proper new Zelda game on The Gameboy Advance which was The Legend of Zelda Minish Cap. Why was there not a proper new Mario game on the Gameboy Advance apart from Mario vs Donkey Kong? Anyway which is your favourite Gameboy Advance game and why? I think the obvious answer is by the time the GBA rolled around, the power to put an SNES game in your hand was mind-boggling. This was the FIRST time you could get an authentic Super Mario World experience on handheld. The idea to make a new 2D Mario game period didn't happen until NSMB for the DS. At the time, 3D was still new, so the industry was transitioning. It would still be a while before the tastes shifted back. Reply to: Why was there never a proper Mario game on the Gameboy Advance that wasn't a remake? Also what is your favourite GBA game?